No more boring bookshelves for you, my friend! Can’t view the embedded video above? Click here. Prefer to read? Transcript is below. 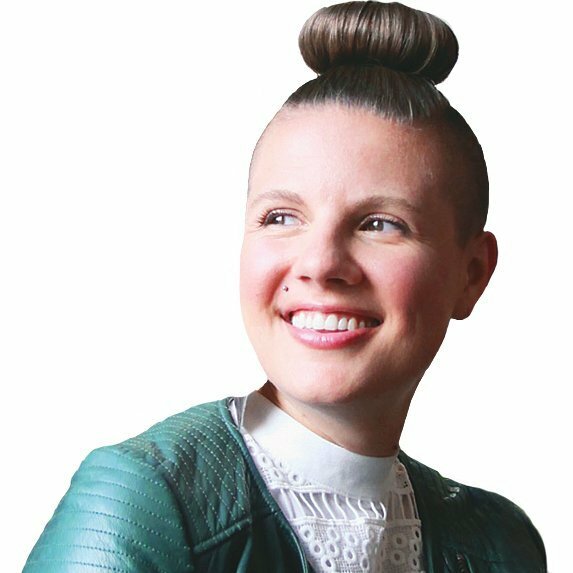 Hey everyone, Lesley Myrick here – interior stylist and owner of Lesley Myrick Art + Design where we create some pretty rad interiors with an offbeat edge. If you missed the video about how to style a coffee table, go back and check that out. And today, I’ve got even more styling tips for you. 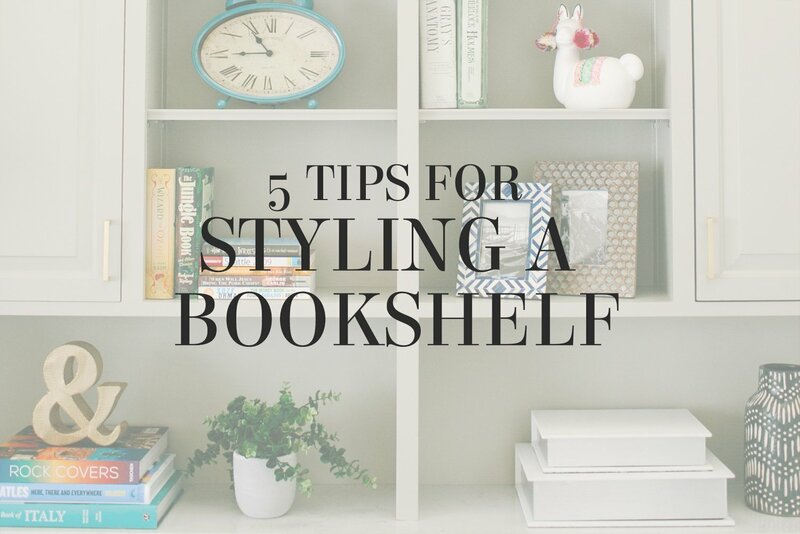 We are gonna talk about how to style a bookshelf. Not so, my friends. Of course, you do put books on it, but it’s more than that. So here’s how I recommend styling a bookshelf. play with both vertical stacks and horizontal. I know, it’s crazy – but that immediately is going to break things up visually and create a lot more interest. Plus, those horizontal stacks form great pedestals for putting cool objects on, but we will get to that one in a minute. Another thing you can do when styling your bookshelf is to add art. Whether it’s a framed photo on the shelf, or my personal favorite, a piece hanging in front of part of the shelves – kooky, I know! 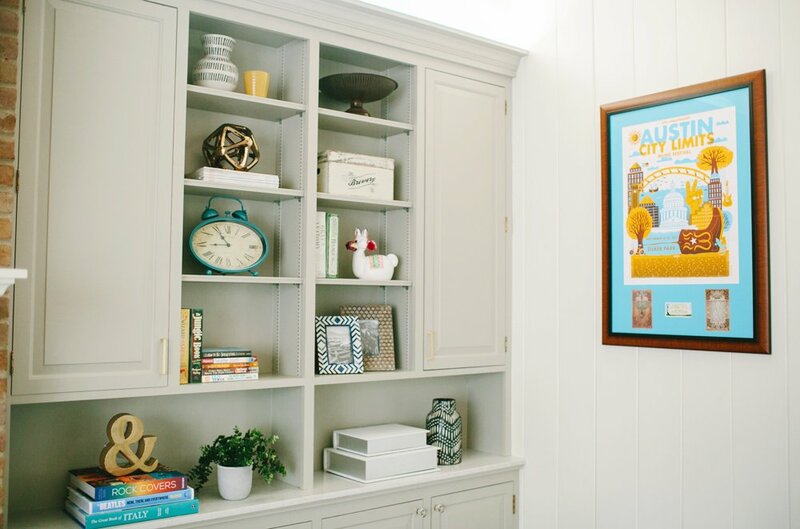 Adding art, family photos, and other framed items can really elevate a bookshelf from just ‘a bookshelf’ into a real display and centerpiece in your home. Another thing to consider when styling a bookshelf is negative space. What you don’t put on there is just as important as what you do. Don’t be afraid to just have one stack of books in the middle of the shelf and nothing else around it. And to sort of intersperse these little moments of white space, of breathing room, to allow your eye to move around and to not get completely overwhelmed. of using objects, or ‘objets‘, if you’re fancy, and other decorative things on a shelf. I think decorative bowls, bookends, sculptures, all those things can play real nice with books. If you find an awesome pair of bookends, grab ’em, throw ’em on your shelf, and they’re going to become a super conversation starter. this is a trick I have done with all my bookshelves in my home. You can see them behind me. I always wallpaper or paint the back of the shelf before assembling it. There is no reason not to have fun and take advantage of this awesome opportunity for a little funky factor behind your books on your shelf. 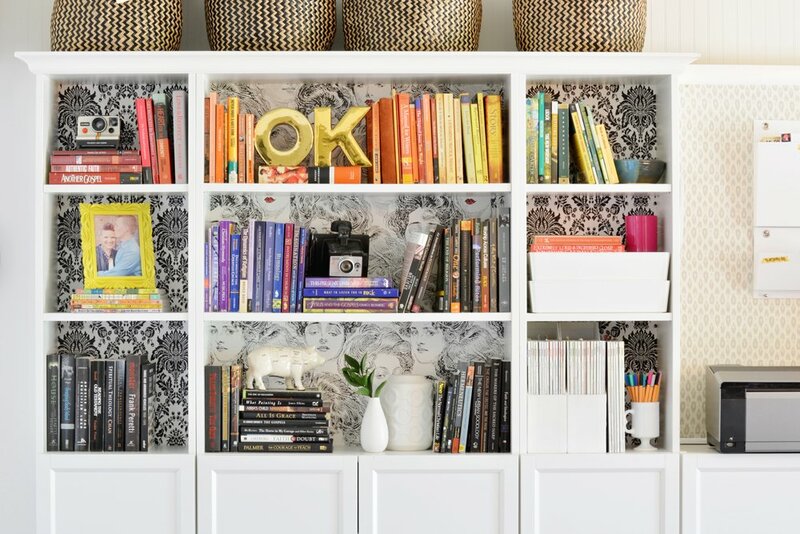 So there you go – a few tips to take your bookshelf from a bookshelf to totally freakin’ awesome! Grab your books, grab a few decorative things, and have fun!